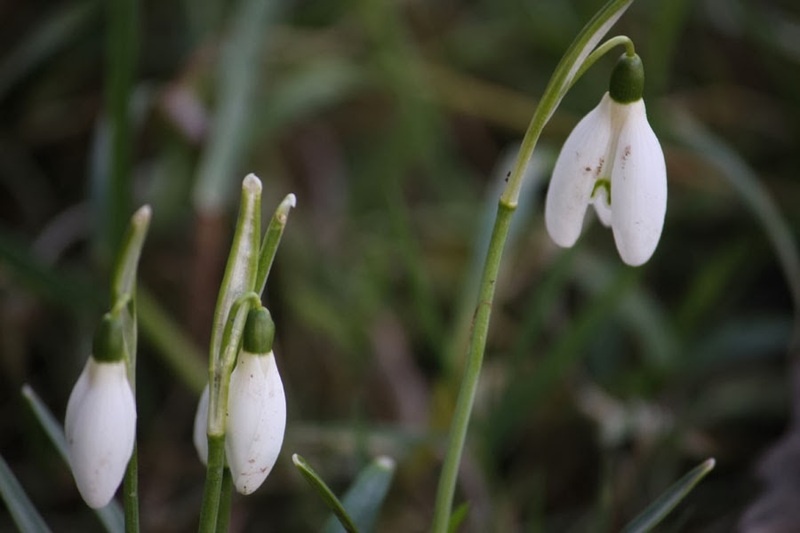 ethical WARES - a lifestyle blog: Signs of Spring ? Putting the bunnies in their outside runs this morning I was delighted to see the first snow drops of the year had just emerged. And, then noticed that there were new shoots on the honeysuckle by the office door! So, despite the terrible weather, Spring it seems, is on the way.